Keep in mind that these flights between islands are on small planes - about 10 seats! My husband actually sat in the co-pilot seat and I had to sit sideways because I sat behind the pilot who had his seat pushed very far back! Also, it was very stormy when we left Provo in the morning, so the flight was a little scary for me (I'm not the best flyer) but it went well and I was excited to see a much smaller, very different island! When we arrived in Grand Turk, we were met by the owner of the B&B where we stayed (there was another couple arriving just before us and staying at the same time) - she got us settled in to our place and helped us get some basic groceries! 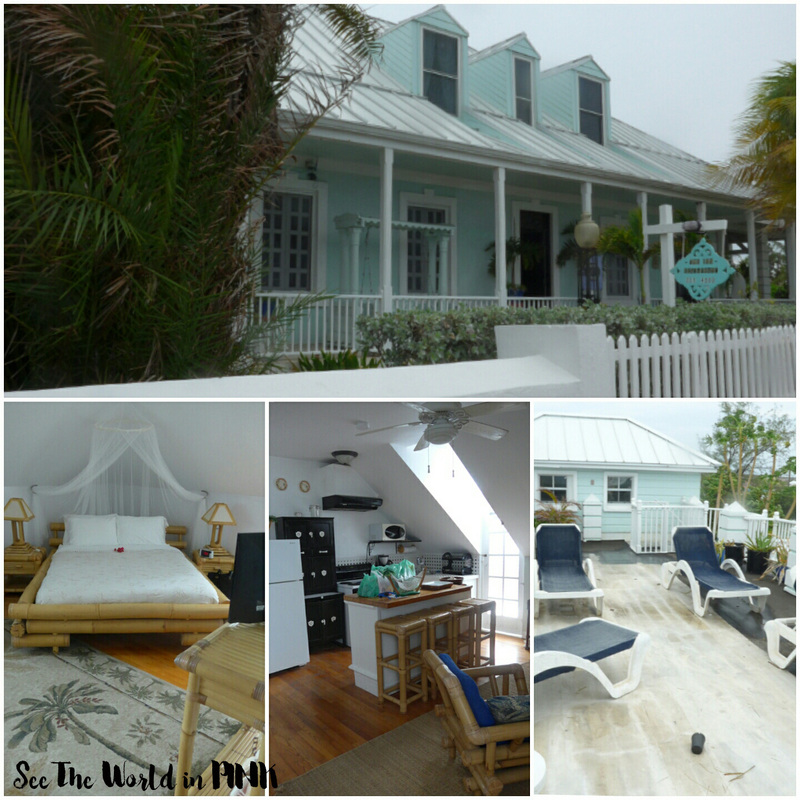 We stayed at the Grand Turk Inn - this is a beautiful old historic home built in the 1800's and turned in to a B&B! We stayed in the upstairs Flamingo suite and thought it was great! It is a big suite with a kitchen, living room, bedroom and bathroom. Also, this suite has a door right on to the upstairs deck, where we enjoyed our coffee and beer every morning and afternoon! Breakfast was delivered every morning to the suite and there were bikes available to use. Also, the owner can help you rent a golf cart which is an easy way of touring the island! 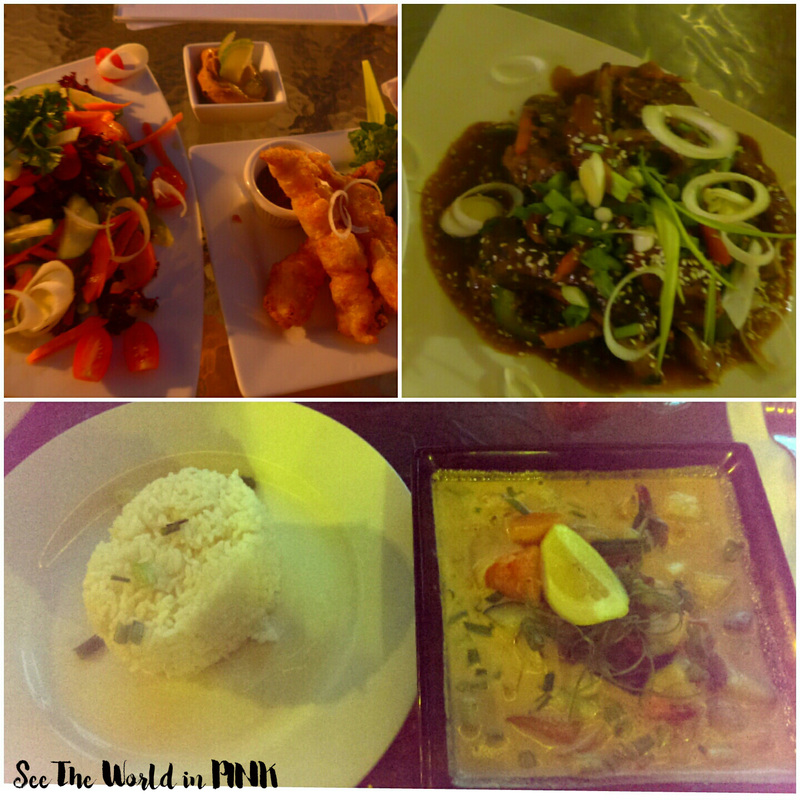 The restaurant is also really great at the Grand Turk Inn - it is Asian Fusion inspired and I really enjoyed every dish that I tried! We did eat here most nights and enjoyed ourselves! 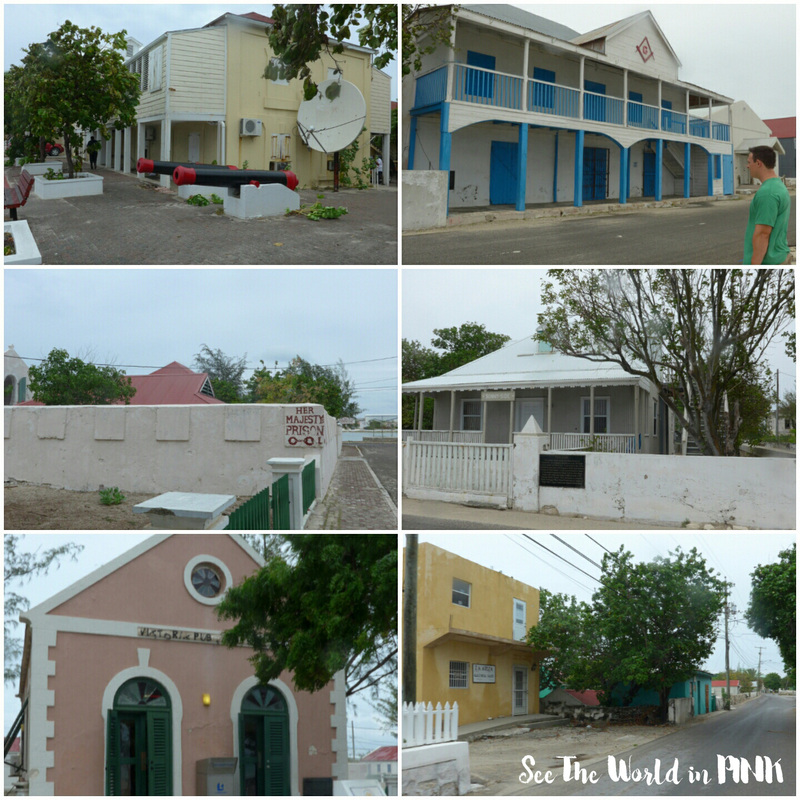 Grand Turk is a quiet, but very historic island. On the island it is thought that Grand Turk may be the first landfall island of Christopher Columbus in 1492 (this is disputed, but good to note for how far the history potentially dates back to on this island). The island was colonized by Bermuda in 1681 and has a lengthy history of who has taken over TCI! Our Bed and Breakfast is located right on the historic Front Street, which is right across from the sea wall, with a great view of the ocean and a beach very close. We really enjoyed looking at all the old historic buildings on Front street. I loved that there was lots of signage so we could see right away all the information about a property! If you are planning on travelling to Grand Turk, you should note that most places are not open unless a Cruise Ship is in port - I had planned our days on the island to have a couple of cruise days and a couple of quiet days. 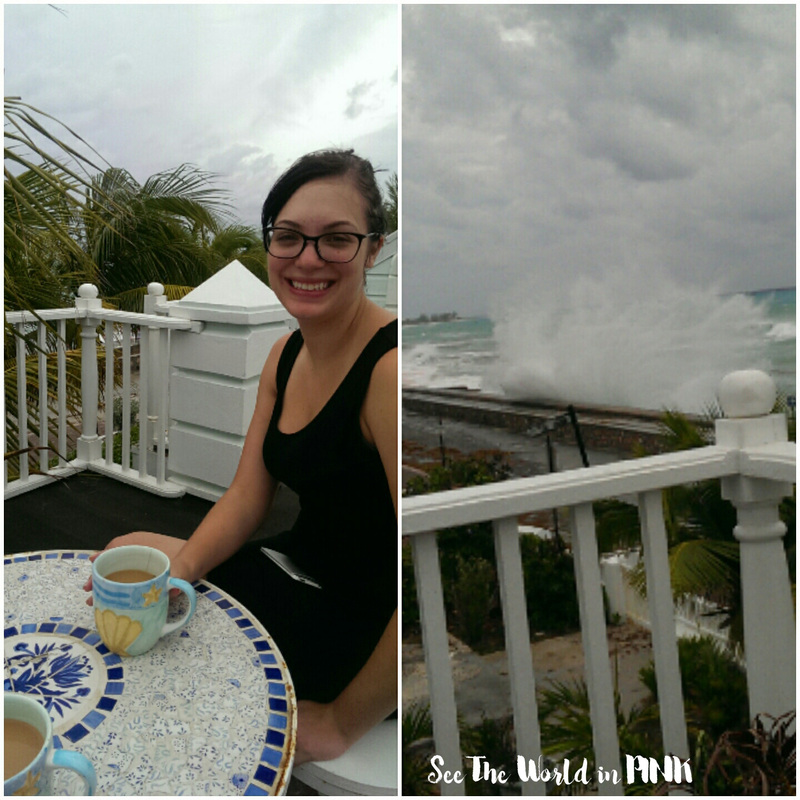 However, on our first night on Grand Turk, Hurricane Joaquin was declared in the Bahamas and shortly after a Tropical Storm was declared for Turks and Caicos Islands. (We were actually a little farther away from the storm on Grand Turk, so the weather was worse on more northern islands). Because of the rough water, no cruise ships were able to port for a couple of days and no food ships came in. Also, a lot of tourist spots did not open - Margaritaville, National Museum, and the old jail, Her Magesty's Prison. (all 3 on my to-do list). The water was very rough and it was quite windy and overcast for a few days; however, overall the weather was not terrible and we were still able to do lots! We did bicycle up to The Grand Turk Lighthouse. (We stopped twice and asked for directions - and people thought we were crazy for taking bicycles and thought we should take a golf cart instead). The ride up was a little bit uphill, but I hadn't ridden a bike in over 12 years and was able to get there just fine! The lighthouse location is beautiful! We really enjoyed just walking around and looking at the island and all the houses. It is very different from Provo, which is very much designed for tourists. 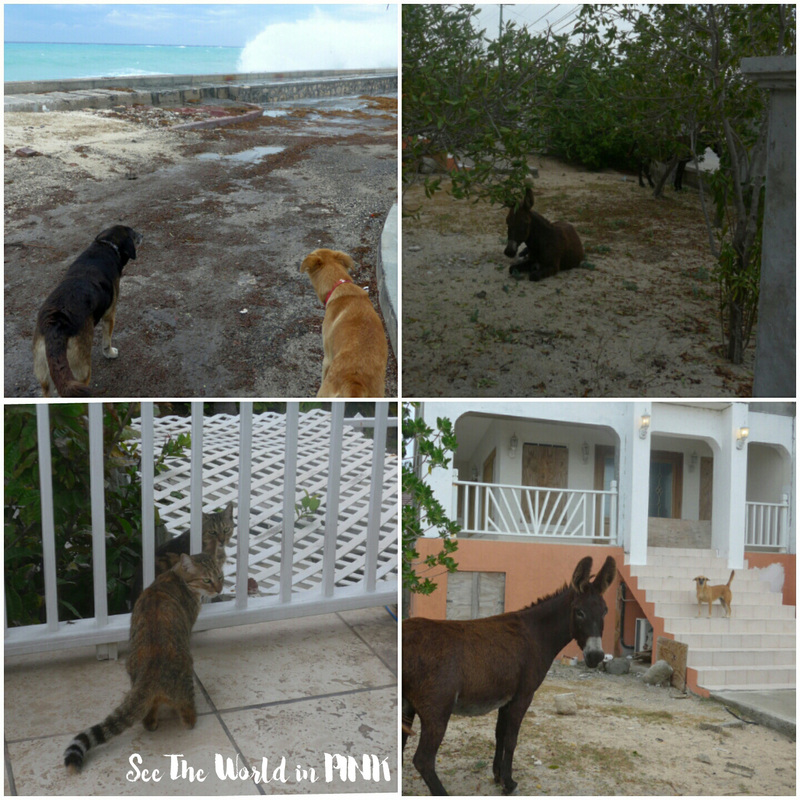 Grand Turk is much more laid-back - you will see lots of dogs out roaming the streets (called potcakes), and even a few donkeys here and there. Another thing you may be surprised by is that you will see a greater disparity on Grand Turk. There are some big beautiful buildings and then houses that are falling apart or in disarray. We did not get a chance to tour the whole island, but there were a few streets that were like this. I will say, no matter where we were, everyone was very friendly and we were never concerned walking around or asking for directions. Apparently, Hurricane Joaquin was a slow-moving storm, because it took a few days to clear up. Once it did clear, the weather was beautiful again. We were able to get a full beach day in on Pillory Beach - a beach noted for it's diving. The water was beautiful; however, my husband tried to snorkel and noted that the water was still a little murky and wavy from the storm. It was still a beautiful spot to spend the day! Now, I was a little sad some of my plans were thwarted by a storm, but we still really enjoyed our time on Grand Turk and liked the quiet, laid-back atmosphere it offered. From Grand Turk, we are moving on to the 3rd part of our trip, which is the very small island of Salt Cay! 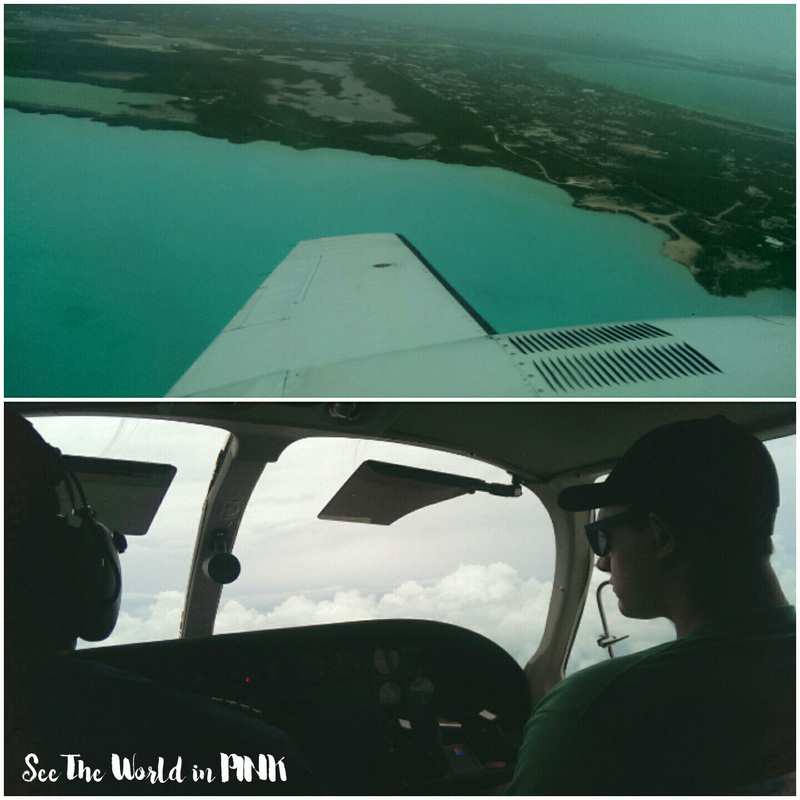 Day trip to Gibbs Cay (this island is also referred to as Stingray City). It is a small cay surrounded by shallow water where you can snorkel with stingrays! We actually had a tour planned with Papa J Tours, but was cancelled due to the weather! So this is Part 2 of my Turks and Caicos honeymoon - (if you missed Part 1, head there for Grace Bay, Provo) and from here we move to Part 3 where we travel to Salt Cay, and Part 4 where we go to the South Side of Provo. (links will be posted when the posts are up!) I hope you are enjoying my little travel series!